To download--this is a zip file so the desktop would be a great place to save it to. 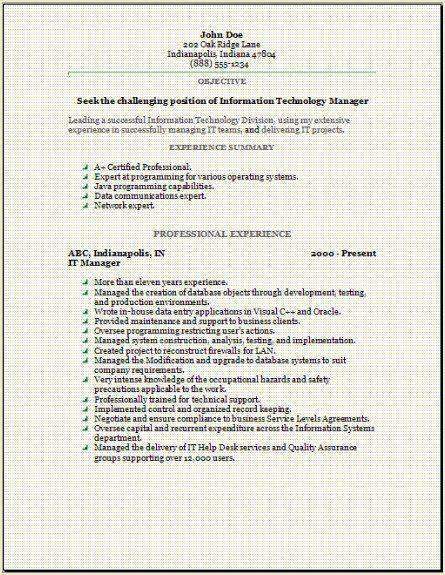 We offer 3 information technology formats used the most to help you create an amazing resume. Add us today, for your best reference tomorrow, do it now. See what you can change when you are editing, by trying lots of different styles just to experiment a little. Try adding bullets to a certain section. Just get comfortable with editing or you can use the example as is. Please remember this is only an example so modify it with information all your own. You'll have a better idea what your end result looks like after you experiment somewhat on your own. That is the reason you are at this website today, to create your resume, so just get started today. We supply these to you free, because we think the information technology resume above are very useful in creating a fast professional looking resume today during your visit. 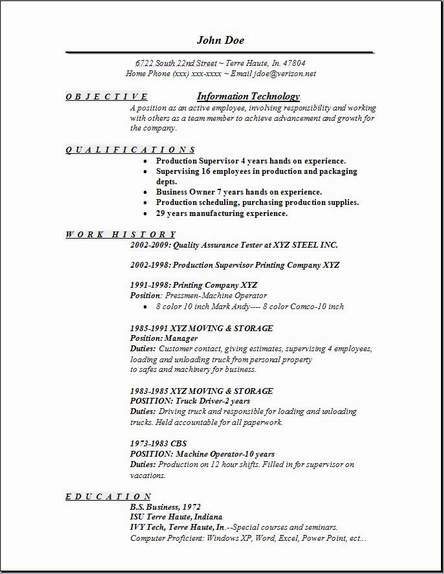 All our other pages have great examples, it would be to your benefit to look at those, then you will have more ideas to change the formatted look of your resume. 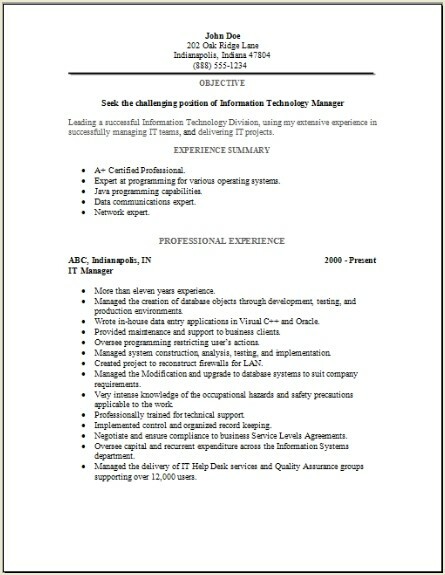 Just copy and then add the section to your own resume in word. Information Technology is the study, the design, and development, implementation, and supervised management of computer based information systems. Software applications and computer hardware have been arranged and designed by IT to deal with this information in an organized manner. IT makes use of electronic computers and various software to convert the information, store it, protect it, process all of it, transmit it, and retrieve information all the while maintaining a very high security of the information. IT professionals will perform many duties that range from the simplest of installing applications to designing and installing very complex computer networks and information databases. These databases can pull information from any area of the many departments in a building or many office buildings. IT professionals perform various duties that may include updating and creating data management programs, networks, engineering computer hardware, database and software design, as well as the management and administration of the entire IT dept. Professionals perform various duties that may include updating and creating data management programs, networks, engineering computer hardware, database and software design, as well as the management and administration of the entire systems. When communications and computer technologies are combined, the end result is information technology.